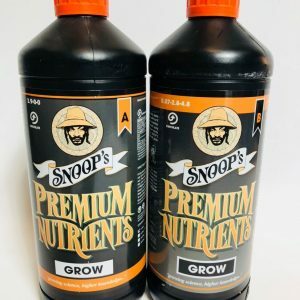 Research has shown that it’s bad practice to use grow nutrients at a reduced dilution rate when fertilizing clones and young plants. 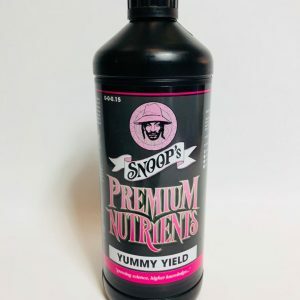 While the ppm will be in the desired range, grow nutrients will not meet the plants’ need for more anions than cations. 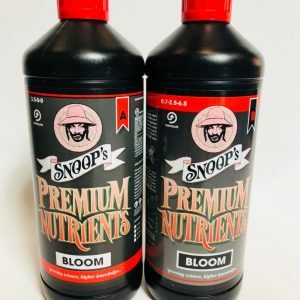 SNOOP’S PREMIUM START A&B has been specifically formulated to provide your plants with the ideal proportion of nutrients for the start phase increasing your young plants and clones ability to develop rapid shoot development. 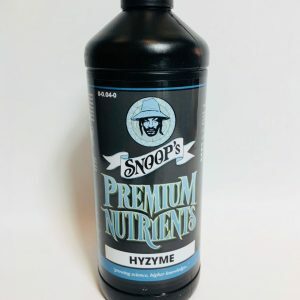 Providing your plants with proper nutrition assists them in reaching their full potential. 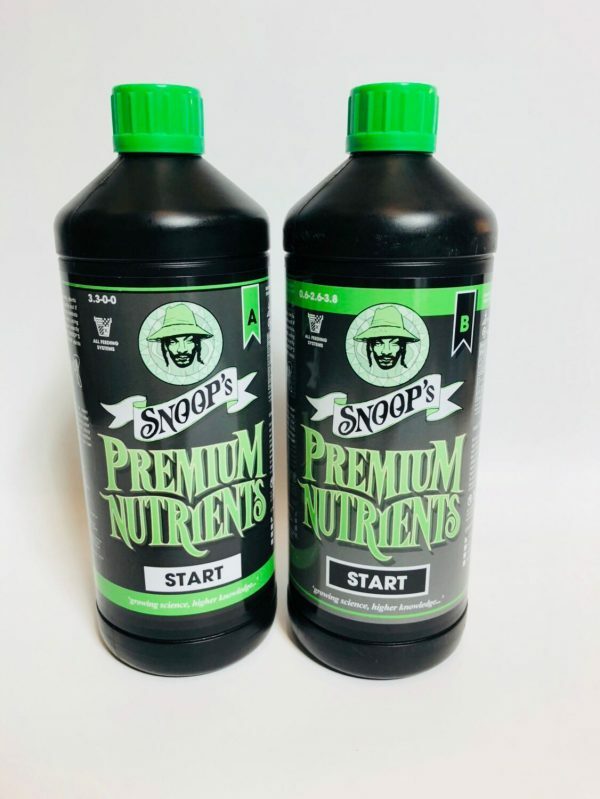 Now you can give your crops a PREMIUM Start.